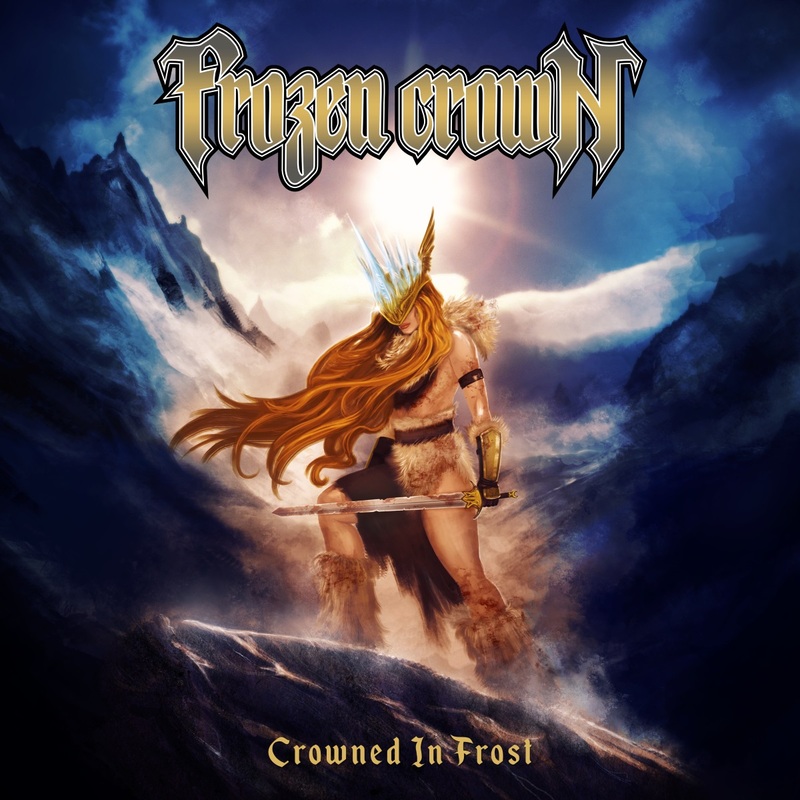 With a bang, Frozen Crown stepped into the spotlight of Heavy Metal a year ago. With their debut album “The Fallen King” the Milanese literally blew me away. What kind of elemental force was that? One and a half million Youtube views for the debut single “Kings” were the reward. And the subsequent video clips have access numbers in the six-digit range. The musicians, however, did not rest on their laurels. Various live performances were on the program. So, they stood amongst others with their large compatriots Rhapsody Of Fire on the stage. Of course, they also worked on new material for the second album. The result “Crowned In Frost” will be released in March. And in April starts the first European tour, as support for Elvenking. But unfortunately, there are no dates in Northern Germany. After the short and firm intro “Arctic Gales” the Italians continue exactly where they left off a year ago. With the Speed Metal prelude “Neverending” they do not make any prisoners. The twin guitars and the driving drums provide extremely high speed. But the key points are again singer Giada “Jade” Etro. With her unique and distinctive voice, she keeps up with every tempo. And so it goes on, whether with “In The Dark” or “Battles In The Night”. Also, on “Crowned In Frost” I am again impressed by the ingenious interplay of the two guitarists Talia Bellazecca and Federico Mondelli. Here come memories of other bands with outstanding guitar duos (Judas Priest, Iron Maiden, Thin Lizzy). In my view, the two play in the same league. Only a little quieter is the straight rocker “Winterfall”. Mastermind Federico Mondelli contributes some growls here. At the Metal-Hymn “Lost in Time” the musicians breathe something. With “The Wolf And The Maiden” followed by a balladesque keyboard interlude before Frozen Crown with “Forever” bang out another speed anthem. The next keyboard interlude “Enthroned” then leads the final song “Crowned In Frost”. Here the Italians once again show their trademarks, fast melodic guitars, forward bursting drums and expressive vocals. With their second album Frozen Crown are at the level of the debut. Even if it lacks some variety this time. For most songs, the tempo is very high. For that I miss a real ballad this time. The two quiet instrumentals cannot replace these. And “The Wolf And The Maiden” would be completely dispensable. All in all a very good second album succeeded by the Italians but despite all the criticisms.